Essential fatty acids (EFAs) are not made by the body and must be obtained through diet or supplementation. EFAs include omega-3 and omega-6 fatty acids. Research indicates that Omega-3 fatty acids reduce inflammation and help prevent risk factors associated with heart disease, cancer, and arthritis. These essential fatty acids are highly concentrated in the brain and appear to be important for memory and brain performance and behavioral function. EFA deficiency has been linked to ADHD and Alzheimer’s disease. Other symptoms of EFA deficiency include extreme tiredness (fatigue), poor memory, dry skin, heart problems, mood swings or depression, and poor circulation. It is recommended that pregnant and nursing women take omega-3 supplements to promote brain and eye development of fetuses and infants. Many infant formulas and cereals contain omega-3 fatty acids as well. A healthy diet should consist of 2 - 4 times more omega-6 fatty acids than omega-3 fatty acid, whereas a typical American diet contains 14 - 25 times more omega-6 fatty acids than omega-3 fatty acids. In contrast, the Mediterranean diet consists of a healthier balance of fatty acids. The Mediterranean diet doesn’t include much meat (high in omega-6 fatty acids) and emphasizes foods rich in omega-3 fatty acids, including whole grains, fresh fruits and vegetables, fish, olive oil, garlic, as well as moderate wine consumption. Excessive omega-6 fatty acids promote inflammation. Omega-3 fatty acids are found naturally in fish, plants, and nut oils. 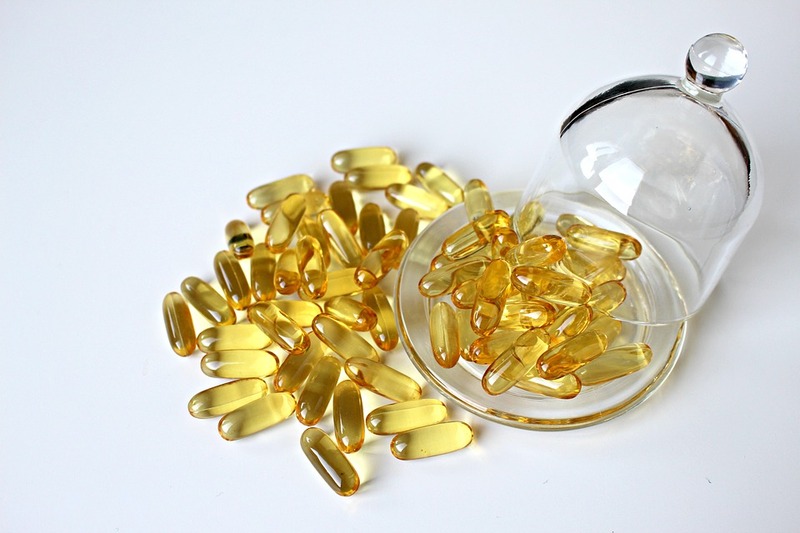 Omega-3 fatty acids can also be taken in the form of fish oil capsules. Dosing should be based on the amount of EPA and DHA in the product, not on the total amount of fish oil. The American Heart Association recommends eating fish at least 2 times per week for healthy adults. For adults with heart disease, it is recommended to consume 1 gram daily of EPA and DHA, preferably from fatty fish, but can also be from supplements. Adults with high cholesterol should take a daily supplement that has 2 - 4 grams of EPA and DHA. It may take several weeks for benefits of fish oil supplements to be seen. Individuals taking more than 3 grams daily of omega-3 fatty acids from capsule should do so only under the supervision of a health care provider due to an increased risk of bleeding. Check with your healthcare provider to see if your prescription drugs may interact with fish oil supplements.